As a dancer and choreographer I am very often asked to talk about my work, not only in professional contexts but also in everyday life situations: for example when I meet someone at a dinner or chatting to taxi drivers. 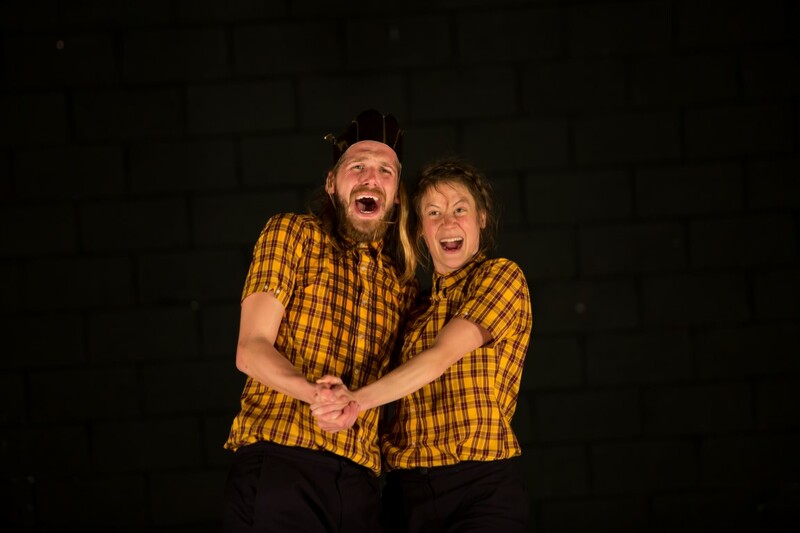 The first challenge is to try to explain what is this obscure thing called ‘contemporary dance’… Then, when I talk about our latest production, Plan B for Utopia, I’ll end up saying something like ‘it’s a show about changing the world, it’s funny, you’d like it!’. And then people start looking really confused: that doesn’t add up! How can ‘dance’ talk about social and political issues? What does it have to say? And how can it be funny? Am I just taking the piss? No, not at all. The creation of Plan B for Utopia came out of the need to bridge the gap between my practice as a choreographer, which can sometimes feel removed from everyday reality, and ‘big questions’ around my personal life: what difference can I make in the world and those around me? How do I live my life in the most ethical/responsible way? How do I know my dream is not someone else’s nightmare? For me, and for everyone else I hope, these are important, urgent questions, so once we got into the studio, we used any available device to tackle them: dance, theatre, props, singing, storytelling… And guess what, the more clever I tried to be, the more bored I was. Again and again I kept being drawn to moments where the dancers where being playful, subversive, unafraid. Plan B for Utopia – John’s Birthday from Joan Cleville on Vimeo. So what if that was an answer in itself? What if humour was connected to creativity and imagination? To a sense of playing where social categories and political ideas are not precious or fixed objects, but building blocks to play with, throw at each other, make castles in the air that fall apart and are built again? Hmm… We were onto something. Then of course came the realisation that I wasn’t the first one to work in that way. The UK has an amazing tradition of physical comedy fully charged with ideological content, think of the Monty Python, Fawlty Towers, Rowan Atkinson… Unsurprisingly, there are also many choreographers working today in the UK that use humour as an integral part of their artistic practice: Ben Duke, New Art Club, Lea Anderson, Seke Chimutengwende, Dog Kennel Hill Project or Liz Aggiss to name just a few. All of those dance artists engage with humour in a highly distinctive way, illuminating the complexities and contradictions of the human condition, offering us a glimpse of other ways of seeing, thinking and experiencing the world. In this sense, I believe that humour has the capacity to transcend difference and bring us together in a shared experience. As John Cleese points out, the opposite of funny is not serious but solemn. Solemnity doesn’t get us anywhere, it’s static and just perpetuates the status quo. Humour is a dynamic process and can have a profound, transformative effect on people. With Plan B for Utopia we want to make an invitation to think creatively around some of the very serious and complex problems that we face today. And having fun with it is not only a side-effect of the show, it’s at the heart of our invitation. Plan B for Utopia is still touring throughout the UK with performances in London, Abergavenny, Shewsbury, Newcastle, Derby and Glasgow before the end of the year. Click here for details.